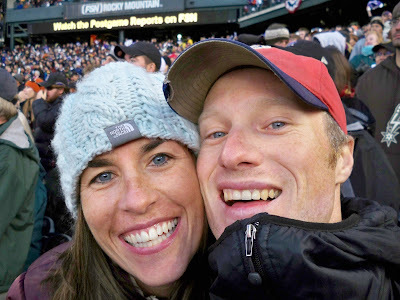 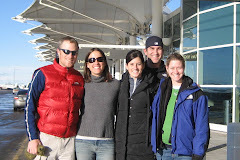 Avery, Kara & Josh's Blog: LET'S GO PHILLIES! 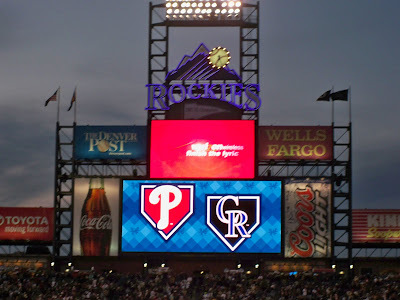 Josh and I went to both Phillies/Rockies playoff games here in Denver. 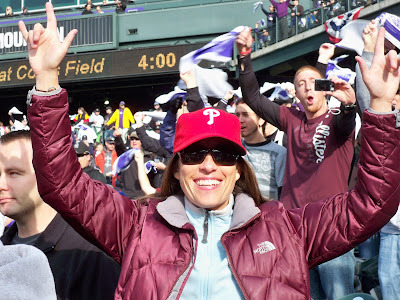 We had a blast and cheered the Phills on to victory. 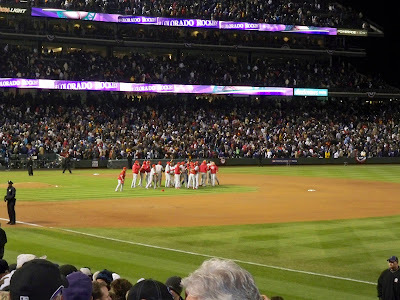 I am terrible luck for the Rockies, which actually helped in this case. 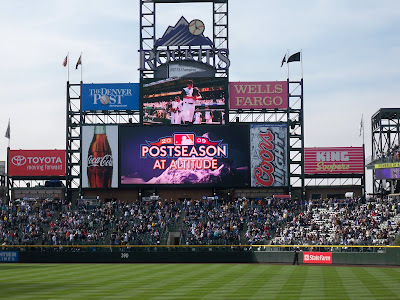 I have been to about 15 games over the past few years and the Rockies are yet to win one!